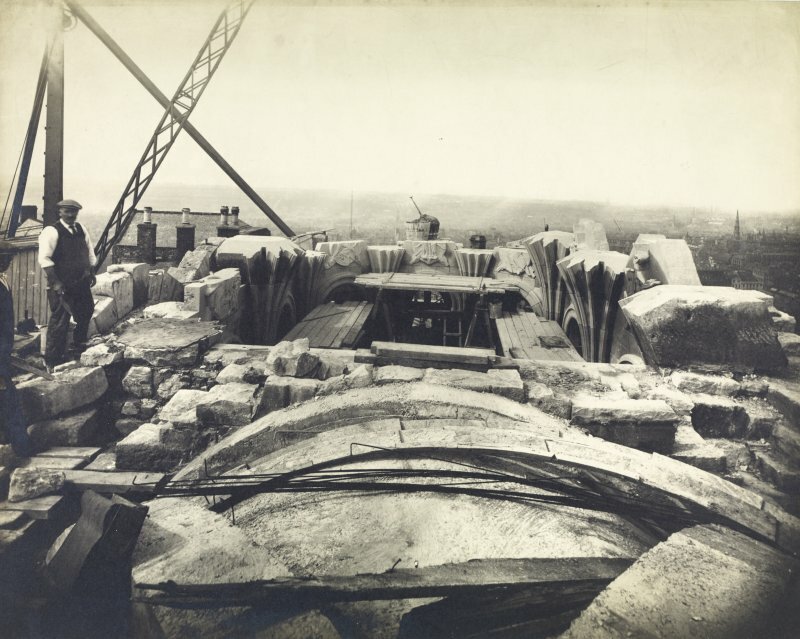 View looking down on vaulted shrine roof in the course of construction, Scottish National War Memorial, Edinburgh Castle, Edinburgh. Description View looking down on vaulted shrine roof in the course of construction, Scottish National War Memorial, Edinburgh Castle, Edinburgh. Scope and Content The photograph was possibly taken by Francis Caird Inglis. > Item Level (DP 280581) View looking down on vaulted shrine roof in the course of construction, Scottish National War Memorial, Edinburgh Castle, Edinburgh.